Founder and President, Wayne Grube Sr., started working in the filling and packaging industry in 1964. His expertise in the field and his desire to leave a legacy for his children led him to start his own aerosol and liquid packaging company in 2000. His two sons now proudly run the business and A&L Packaging continues to be the 'go-to facility' for multitudes of packaging projects large and small. 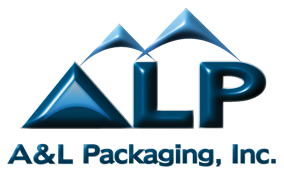 A&L Packaging is not just aerosols and liquids. We are a full service packaging company able to handle large and small production runs with the highest degree of quality and professionalism. We can accommodate all of your contract packaging demands. From product development, sourcing materials, compounding and quality, A&L packaging focuses on details, efficiency and customer satisfaction. We are continuously improving the cost effectiveness and performance of all our products and processes, as well as focusing on innovation - combining functionality with creativity for distinct brands and unique packaging at a low cost. We can provide a turn key operation solution for all your aerosol and liquid filling, bottling and packaging needs. We provide solutions for all your aerosol and liquid filling, bottling and packaging needs. Whatever it is you may require, we can accommodate all of your contract packaging demands. We are a member of NAM (National Association of Manufacturers), as well as FDA registered. If an Aerosol What Type of Propellant is Used?